Oxford Dictionaries included bae on its Word of the Year 2014 shortlist, so we invited several experts to comment on the growth of this word in music and language. In this song, Donald Glover sings “Now why can’t every day be like this…Hang with bae at the beach like this.” Judging from the rest of the lyrics and recent pictures of him with a young woman on the beach, I’d say he’s talking about a girlfriend in this case. In the chorus of this song, Jay-Z repeats the line, “bae boy, now I’m all grown up”. The overall song reads like an updated version of 1 Corinthians 13:11 (“When I was a child, I talked like a child…When I became a man, I put away childish things”). Here bae seems to be standing in for the word baby, as in baby boy. The video pretty much makes it crystal clear what the use is here: babe, referring to all the dancing ladies presumably. Bae shows up right at the end of the track, in the line “She call me ‘baby’ and I call her ‘bae’”. Here it’s clear that Lil Wayne’s bae is an alternate version of her baby. Ok, I know this is actually pop, but I wanted to include it because it’s so catchy. The overall tone of the lyrics is classic girl power, including the line “I ain’t thirsty for no bae cuz I already know watchu tryna say”. Given the content of the rest of the lyrics, it seems like bae is being substituted for the sense in which babe can refer to boyfriend. It will be interesting to see what kind of cultural capital bae will accrue in the coming years. Will it thrive, or go the way of flitter-mouse? For more on the many and varied terms of endearment the English language has offered through the ages, check out these unusual terms of endearment in the Oxford English Dictionary. Headline image credit: Post-Sopa Blackout Party for Wikimedia Foundation staff by Victor Grigas (Victorgrigas). CC BY-SA 3.0 via Wikimedia Commons. 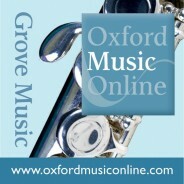 Meghann Wilhoite is an Associate Editor at Grove Music/Oxford Music Online, music blogger, and organist. Follow her on Twitter at @megwilhoite. Read her previous blog posts on Sibelius, the pipe organ, John Zorn, West Side Story, and other subjects.